Heating for people or for products can be a huge energy drain, and needs careful thought. 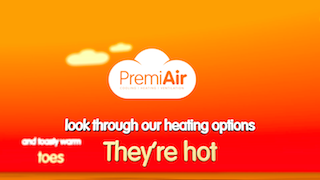 PremiAir can help you choose the most appropriate, efficient and effective industrial and commercial heating system for your needs. Warm air heating comes in various forms, and using most fuels, but is characterised by heating the air in a room, which is recirculated. It’s a very simple approach which can be very effective, but which has pitfalls if expert advice isn’t taken. We can help. Radiant heating replicates the benefits of sitting under a warm sun so can be extremely effective, but it’s not appropriate in every situation, so expert advice from PremiAir is essential. Heat pumps can provide great efficiency if the only fuel available is electricity, and are normally combined with cooling to provide everything from one system.